When it’s hot in the Wairarapa you just have to take the plunge! These are some top Wairarapa swimming spots - including a few hidden gems. Read these tips for safe river swimming. And always check the mountain forecast first, as rain can make river levels rise suddenly. If you’re looking for family-friendly swimming in the sea, you can't go past a daytrip to Castlepoint and Riversdale. Indoor and outdoor pools for fun swimming all year round. Genesis in Masterton has an indoor hydro slide, river ride and spa, and outdoor speed slides. Just north of Masterton, on SH2 just after Opaki, turn right onto Bluff Kaiparoro Road. Go over the railway lines and the road bridge (with the rail bridge beside you - hence Double Bridges) and turn right into Bluff Rangitumau Road and staright away right through the gate. 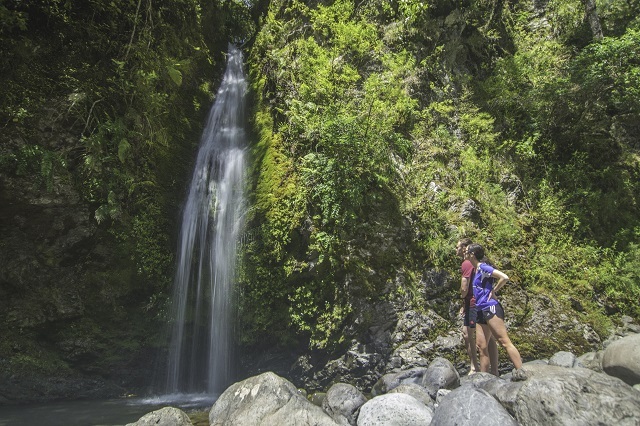 Lay around in the gentle rapids under the bridges or jump off the rocks just downstream into the deeper water of the Ruamahanga River before it hits the towns. Take Te Ore Ore Road at the north end of Masterton and head past Henley Lake. Take a left onto Te Ore Ore Bideford Road and another left onto Black Rock Road. The swimming hole is 2-3km from the turn-off. This popular local spot is at the end of Upper Plain Road. At the fork in the road take the left hand option. Take care as the road turns to gravel. Park at the very end of the road and you're meters from the highest cliff jump in the Wairarapa; and there's lower jump options for beginners. And there’s a dairy on your way back into town - the perfect ice cream stop. On Pembroke Street in central Carterton, the three outdoor pools, wee slide and a fair bit of shade for young swimmers and parents make it a great, cheap cooling off option. The road has washed out which means an easy 15 minute walk from the current road end. But it's worth the walk for the massive swing bridge, waterfall to stand under and easy swimming sections of the river. The water's clean and clear coming straight off the mountains, great for cooling you off after a walk along one of the tracks out that way. Follow the signs from SH2 between Carterton and Greytown. Next to Greytown Park in Kuratawhiti Street are the Greytown Memorial Baths, fantastic to enjoy in the brilliant summer sunshine. The road has washed out which means an easy 15 minute walk from the current road-end. But it's worth the walk for the massive swing bridge, waterfall to stand under and easy swimming stretch of river. The watre is clean and clear coming straight off the mountains, which is great for cooling off after a walk on one of the local tracks. Follow the signs from SH2 between Greytown and Carterton. Princess Street is home to Centennial Park, Martinborough and within these grounds are the Martinborough Swimming Pools. On Johnston Street in Featherston is the Featherston Community Outdoor Pool open every afternoon over the summer period. 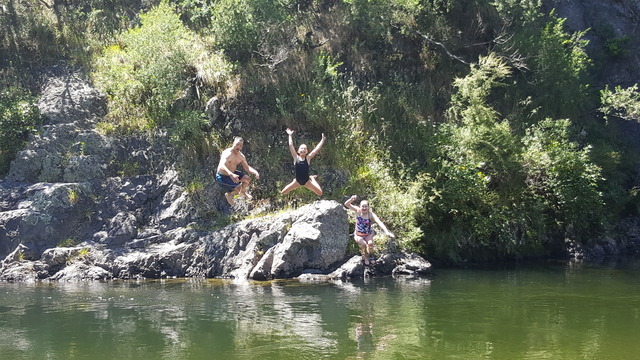 A wonderful natural swimming hole on the Tauherenikau River is at the end of the Tauherenikau Gorge with a sandy beach with rock jumping into a deep hole. The river winds through this area so no matter which way the wind is blowing there is a great picnic spot with some easy wading. 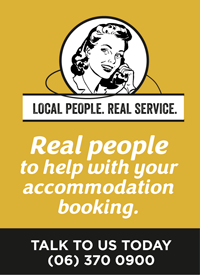 Just 15 minutes from Featherston, via Wakefield Street, Underhill Road then Bucks Road to the end.